This Friday, on 17 February, Kosovo leaders will raise a glass to celebrate their achievements from nine years of independence, but many will not be there to cheer with them. While in many areas Kosovo’s statehood has been strengthened, little has changed in the lives of ordinary people. After nine years of independence Kosovars are still locked in isolation and poverty. They still find themselves unemployed, without health care, a working education system or any hope to find a job, while those who do work hardly make ends meet. Being the most pro-US and pro-EU country on earth has hardly helped Kosovars in ending the agony of isolation or finding a paying job. When in 2013 Kosovo and Serbia signed an agreement on normalisation of relations, despite its flaws there was hope that the region was finally resolving outstanding issues and moving towards integration with the EU. Although there is plenty of room for criticism on the format of delegations and the content of the deals, the dialogue itself was a success. it not only brought parties together but also enabled reaching many important deals that would have been otherwise unlikely. But the good work done in the past six years in Brussels has been put at risk lately. 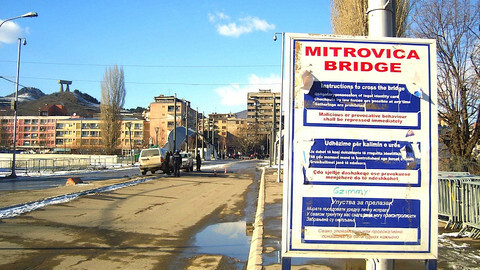 Serbia crossed the line when it recently tried to send a nationalistic train, donated by Russia, to Kosovo and to build a wall in the already divided city of Mitrovica, provoking unnecessary tensions. Many in Kosovo judged this as a move to either raise the stakes at the Brussels dialogue for bigger concessions from Kosovo or as preparation for the annexation of the ethnic-Serb Mitrovica enclave. Both the train and the wall raise doubts on whether the dialogue is functioning or if the EU can deliver. 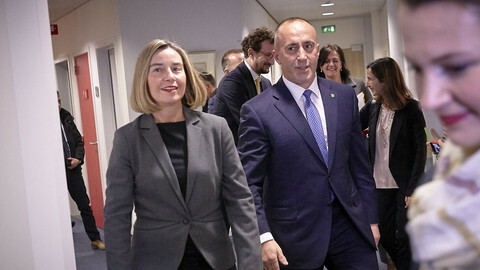 The bar started low: the EU started the dialogue amid heavy suspicion, from both Serbia and Kosovo, on its capability to deliver. So far it has proven to be an influential actor but the recent moves question its capability. To increase confidence the EU must prove that hostile actions will not be tolerated by pointing to the problem, calling out the parties and adding heavier conditionality terms. In the case of Serbia, which continues to keep the door with Russia open, heavy conditionality can backfire, yet the EU cannot succumb to blackmail and false commitments. 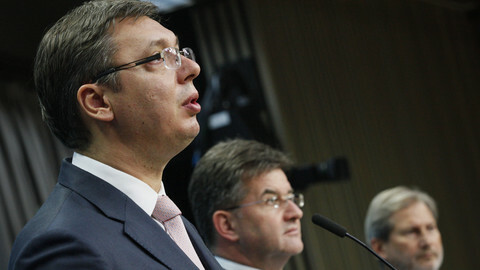 Serbia is already pursuing a Russian discourse while it continues negotiations for membership in EU. 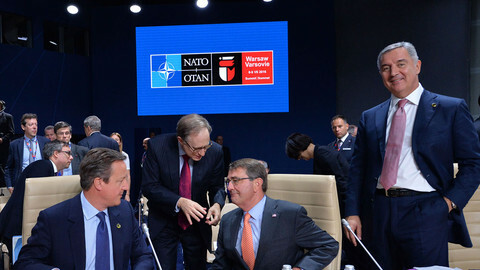 In a three-day visit to Moscow In October 2015, Serbian prime minister Aleksandar Vucic requested Russia rearm Serbia's army to Russian standards in a deal worth around €4.6 billion. Russia also vetoed the UK backed resolution calling the Srebrenica massacre in 1995 a “genocide”. Since 2013, Serbia has a strategic partnership agreement with Russia on economic and political cooperation, including coordination in international organisations. Serbia was the only EU-candidate country that failed to support the sanctions on Russia and abstained from the UN statement condemning Russia’s annexation of Crimea. A few months after Putin annexed Crimea, Serbia organised a spectacular welcome for Putin with a military parade organised to his honour. All these encounters have gone unnoticed by EU. It is fitting that we now pause for a moment and ask whether a country can pursue both Russia’s and the EU’s agenda? One thing is for sure. Serbia cannot have it both ways and EU should stop its “I know, but you still have time” policy towards Serbia if it wants the region to be stable and normal. When dialogue and diplomacy do not work, populists rise. It took a train with nationalistic symbols to give rise to nationalist rhetoric both in Serbia and Kosovo. Kosovo’s ex-PM, now president, Hashim Thaci, engaged in an unnecessary nationalist tirade. Thaci, who is empowering the position of president in the style of Erdogan, eclipsing the position of prime minister, continues to overplay a ceremonial position. Plenty in the opposition also engage in nationalist discourse, blaming the EU dialogue and calling for the use of armed forces. In Serbia, president Tomislav Nikolic went as far as saying that “If need be, my sons and I will take part in war”. The same kind of rhetoric came from Serbia’s PM, Vucic. 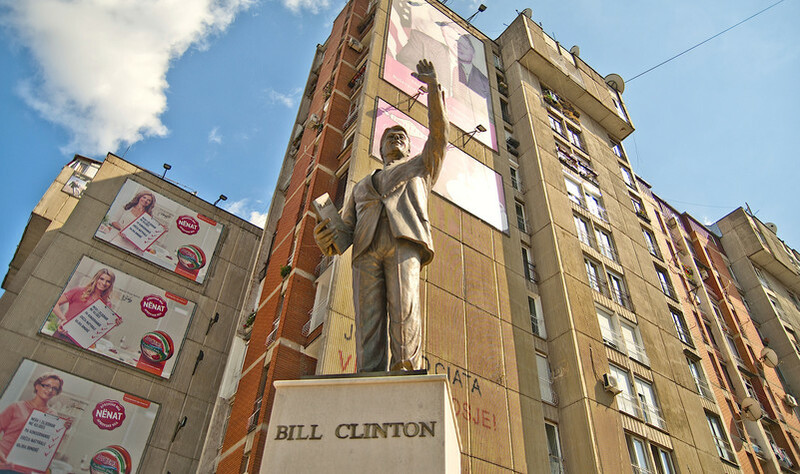 The Albanian prime minister Edi Rama, who recently visited Kosovo, also entered into the absurd power politics of one-upmanship. This is unacceptable. Brussels must call out both parties to stop the bullying and focus on their economic growth and social cohesion agenda. 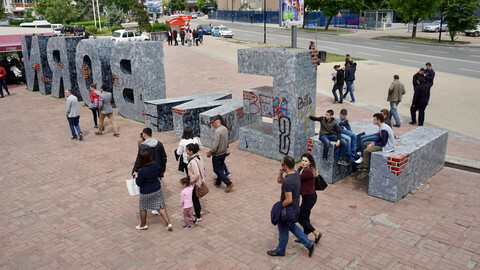 Seventy-three percent of citizens in Serbia said they would not go to war with Kosovo in a recent poll by the Belgrade Center for Security Policy. Almost one-third of people have left Albania and Kosovo over the last decade in search of hope and possibility, while Rama’s Albania continues to produce marijuana in vast quantities and Thaci’s Kosovo is mired in corruption. Nationalism is only in the heads of a corrupt ruling elite. Citizens are calling for peace and possibility, which is why the EU should work to bring citizens closer to the EU, empower liberals, distance itself from nationalists and uncover the corrupt who stall reforms and undermine progress.